This pattern was part of the JANe that debuted at Knit Fit 2015. 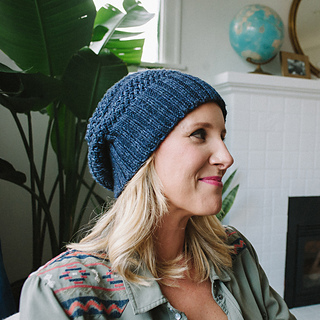 When the winter wind starts blowing it’s time to reach for your favorite knit hat. 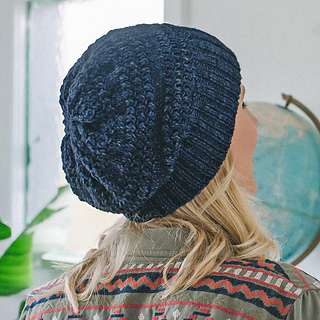 But is that hat a slouchy cap or a beanie? 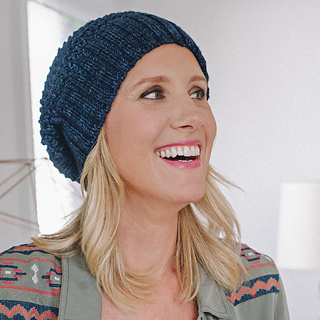 Eventide is both; wear the brim down for a relaxed look or fold it up for a more traditional style. Grab a skein of your favorite worsted weight yarn and whip one up in time for an evening sleigh ride!